Jaden Smith, son of Hollywood superstar Will Smith and his wife Jada Pinkett Smith, made headlines recently by tweeting his opinions about education. No one takes seriously the musings of the average 15-year-0ld on school, but Jaden isn’t the average 15-year-old. He is not only the offspring of celebrities, but also a celebrity in his own right, acting with his dad in The Pursuit of Happyness and the recent flop, After Earth, and starring in the 2010 remake of The Karate Kid. At the time of his tweets, his fame had garnered him about 4.5 million Twitter followers (which ranks him as the 215th most-followed account on Twitter). You have to assume that the vast majority of those followers are impressionable school-aged kids. That’s why I think it’s worth talking about. It’s caused quite the stir. Educators and supporters of public education have decried his comments as stupid and irresponsible. Homeschooling advocates have had mixed responses, but most are at least partially supportive. What do I think about it? 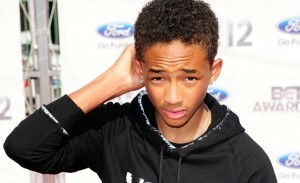 Well, first, celebrity or not, Jaden is a kid. That means I don’t take his opinions too seriously and neither should you. Sure, he’s a role model of sorts, but he’s still a teen with a Twitter account. Go easy on him–whether you agree or not. Jaden and his sister had been in a school largely funded by his parents up until recently. The school closed and Mom and Dad took the kids home for their education. Good for them. My wife and I homeschool our four daughters and support the right to home educate. It sounds like Jaden cares about learning and is enthusiastic about the opportunities homeschooling provides. His thoughts may need some refining, but I’m impressed that he cares enough to develop an opinion at all. Let’s get this one out of the way. The comment about babies being the most intelligent beings on planet earth is goofy. I think I get his implication–that babies haven’t been corrupted by the system and robbed of natural curiosity, etc. etc. Fine, but babies poop on themselves. The reason they don’t talk is that they haven’t developed the intelligence to…Wait. Stop. You get it. Moving on. Are schools nothing but tools for brainwashing young people? No. That’s going too far. There are lots of good people in the education world and they come from many different perspectives. It’s not all part of a grand scheme to mold passive conformists ripe for Big Brother control. On the other hand, public schools by design tend to shove kids into molds. They are not particularly flexible and reward followership more than independent thinking. They were introduced as a way of producing a well-behaved working class. And the more the federal government injects itself into curriculum options like we are witnessing with the Common Core debates, the more centralized and controlled public education seems. In other words, Jaden overstates the case, but there’s some truth in that comment. What about dropping out as the solution? Well, he gets that wrong too, but it’s likely he didn’t say what he really meant. There’s no inherent good in simply dropping out of school, of course. Certainly dropping out itself would not make anyone smarter. But if he meant what I think he meant–that if everyone ditched the education system as it is and took responsibility for their own education, we’d all be better off–I think I’d have to agree with that, at least in part. Schools at the very least provide structure and some degree of discipline, and this is important for the large numbers of aimless, unmotivated young people in our culture. And that’s the heart of the problem. Kids don’t think it’s good to know stuff. And schools don’t do a very good job of inspiring a love for learning. For many students, whatever passion for knowledge once burned in their hearts has been doused by cement block walls, straight desk rows, and rigid, test-oriented course content. But schools aren’t all bad. Some are excellent. Most are blessed with some wonderful, gifted teachers and administrators. Many find a way to succeed despite a flawed system and challenging home environment. And for too many kids, simply dropping out would lead only to indolence and purposelessness, not a kindled interest in the pursuit of knowledge. If Jaden meant that education in this country is a mess that needs to be revamped, I’m with him. If he meant that knowledge-hungry teens seeking to satisfy their cravings through independent study at home is better than the insipid fare offered in too many of our nation’s schools, I’ve got his back. Unfortunately, he didn’t say those things. He just encouraged kids to drop out. I wish instead of just dissing the system, he’d have encouraged kids to learn on their own, to get knowledge despite the school system they are a part of. He didn’t though, and that leaves me wondering. But I’m not mad at him. He’s a kid. A kid who values intelligence. Let’s hope that in the years to come he will be able to use his celebrity to inspire a love for learning to his millions of fans–whether they are in school or not. If a fifteen-year-old can express his thoughts to the world, you certainly can! Start by leaving a reply in the space below. I think Jaden’s comments are well directed. His statements contain thought on his part and provoke pondering on our part. What is our education system really all about? Should we consider the wisdom we claim to have? Does this fifteen year old have the right idea? He seems to be passionate about his education and the direction it takes..if not, at least the slightest bit concerned with it. Could his schooling background (private/homeschooling) have influenced or sparked this? I do not mean in any way to insult or belittle any form of public schooling, but I have personally seen the results individual and encouraged thought — seemingly non-existent in public schools. I think he is taking advantage of his popularity/followers to express his personal thoughts. The beginnings of a cultivated young man! I am thankful that I can homeschool my children. We need good schools but how do we get there? This week our public schools are having an ” anti-bully day”. I don’t understand why the negative is always celebrated. Why not have a “kindness day”? Am I just too naive? I don’t know if you’re naive, but a “kindness day” doesn’t really address the issue of bullying directly, which I think is the point. I’ve got some ideas on how to fix the education system, but few of my ideas would be well received these days. Can’t say I’m very optimistic about the future of public education in the U.S. I love this talk by Seth Godin. His manifesto on the subject is equally good. In the manifesto he makes the comment that homeschool is not the answer for every kid. At first this upset me, but I came to realize Godin is correct. Homeschool is the answer for children with parents willing to take on the responsibility of their child’s education. Unfortunately, the majority of children are not in that category. For those children we *need* a public education system that works. In other words, Jaden is wrong for exactly the reasons Brian points out. “Dropping out” is not a better option for most kids. What Seth Godin needs to realize is the homeschooling movement is our nation’s best opportunity to save the public system. Republicans like to talk about having 50 laboratories of innovation. Homeschoolers are providing almost a million of them. To explicitly declare that behind every child in school is a parent who DOES NOT take on the responsibility of their child’s education takes the revolting self-righteousness of home-schoolers to a level of absurdity. Insulting and disrespectful do not begin to describe this. Thinking – and the expression thereof – like this is one reason home-schoolers have such a stigma, a stigma cultivated by insulting blanket accusations of the unworthiness of the unwashed masses that teach and attend schools. As educators, my wife and I have four college degrees in education, five different certifications both in core and noncore subjects ranging from K-12, thirty two years of cumulative experience, and more extra supervisory responsibilities than Egypt had locusts. We teach the community’s children every day, then go home and REINFORCE what our two boys learned that day. We are acutely aware of our responsibility for their education. Is everyone? Who knows? More importantly, how do YOU know? Perhaps young Mr. Smith is not the only individual afflicted with foot-in-mouth disease? How do you expect to be taken seriously in an intelligent conversation about education with such narrow-minded vitriolic bias? Easy, R. I can’t speak for Ryan, but you haven’t read him with much grace. Isn’t it possible that he meant not that homeschooling is the only option for responsible parents, but that irresponsible parents ought NOT to consider homeschooling? That’s what I assumed he meant, and I agree. I agree that your post is pretty balanced. I agree what you had to say about what he thought. I am certainly not following what a celebrity kid has to say. You see what happens when you let kids raise themselves. I don’t know how much weight I would give anything this family says or does. They don’t think that they need to raise their children. The Bible says that a child left to himself is a shame to his mother. They said that they don’t have to tell grown adults to make their beds, so they won’t tell their kids to make their beds. http://blogs.babycenter.com/celebrities/05252013will-smith-on-parenting/ There is a disconnect there, folks. They are children that need to be raised, not left to themselves to do what they think is right. They don’t know what is right, which is why they were given parents! “How will they hear without a preach” sorry I’m quoting the Bible again! That school was a mess! The message was all New Age espousing Scientology. I would never let any of my children near that whack school. We should not hold any celebrity up as a model. We should be our children’s role models. Boo Smith family! “If a fifteen-year-old can express his thoughts to the world, you certainly can! Start by leaving a reply in the space below.” LOL! And I don’t even have an original thought to express at the moment, possibly because I just spent 2 hours at a bowling alley with a plethora of elementary kids and my brain is still jangling.